The story so far... The Magic Roundabout started off in 1963 as a French TV series for children, created by stop-motion animator Serge Danot. 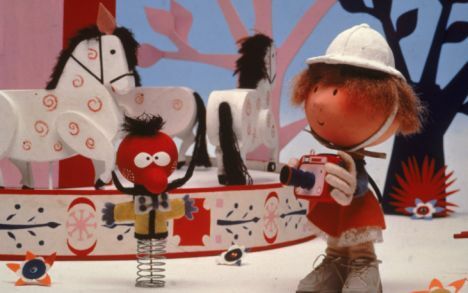 A little girl called Florence and her friends meet Zebedee, a boxless jack-in-a-box, and a bevy of talking animals, notably Dougal, a sarcastic low-slung dog, and Brian, a chirpy snail. 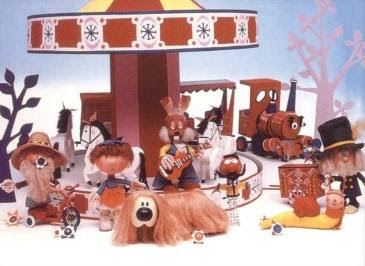 Their friends included Dylan, a dopey rabbit, Ermintrude, an enthusiastic bossy cow, a rather aloof train that didn't need tracks, Mr MacHenry the gardener and Mr Rusty who runs the magic roundabout itself. 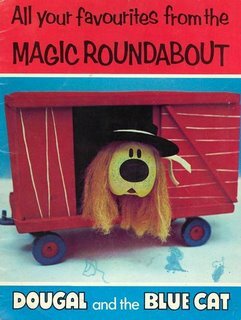 For years they had surreal, low octane adventures together in the magic garden, with Florence in no hurry to leave and go home. It was all made using stop-motion animated figures moving around a sparsely decorated white limbo that represented the garden. 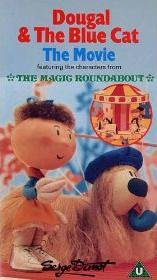 The BBC bought the series in 1965, but Play School regular Eric Thompson (Emma's dad) threw away the translations of the French stories and wrote all-new dialogue, before revoicing every episode. Each 5 minute story was transmitted at the end of the late afternoon Children's Hour and for years lead into the evening news, the start of BBC 1's evening programmes for adults. 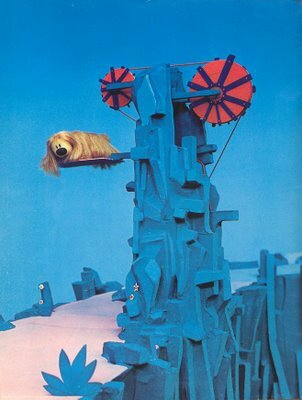 Thompson's scripts catered to this unique TV slot by appealing to all age groups, with in-jokes and references to current affairs for the grown-ups. 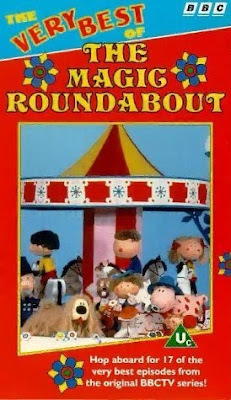 Much later, in 1992, Channel Four discovered that the last 39 episodes of the original French series hadn't been seen in Britain. But with Eric Thompson no longer around, comedian Nigel Planer was drafted in to rewrite and revoice them, though I didn't feel that they were nearly as much fun without Thompson. 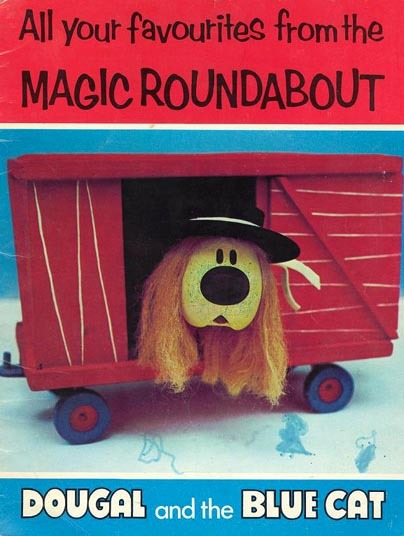 Presently, none of The Magic Roundabout series are available on DVD. Several volumes of the original colour episodes were released on VHS, easily confused with the video releases of the Nigel Planer series. I'm surprised and sad that this hugely popular and nostalgic children's favourite has still not emerged on DVD, even when there was a 2005 CGI feature film incarnation, voiced by a mixture of actors and pop stars. The only good thing about the recent movie was that a single black-and-white episode of the original series was included in the 2-DVD set, in both English and the original French versions. 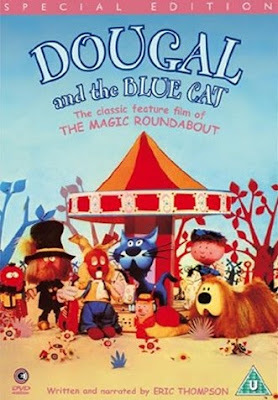 The good news is that the 1970 movie, Dougal and the Blue Cat is now being released on DVD in the UK in November. This was last seen on home video as a VHS release (below), sourced from a badly damaged and very scratchy print. Now digitally remastered, this new special edition set (pictured at top) includes both the English and French audio tracks as well as several featurettes. 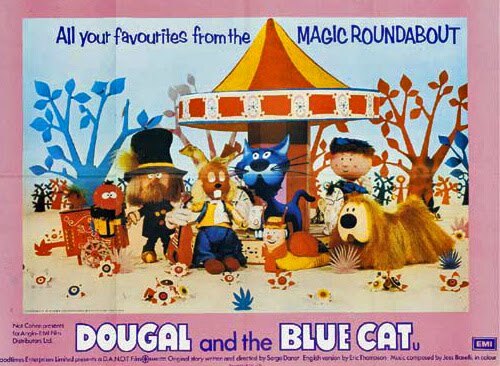 Hopefully this could spark off interest for some of the original TV series to finally hit DVD. At the moment, the only Magic Roundabout DVDs are some CGI spin-offs from the 2005 movie. Time for bed, I think. Yes, time for bed. Who knows whether it will ever make it stateside... One hopes.